‘Khuda Kay Liye,’ released in 2007, brought the term “revival of Pakistani cinema,” into our frames of reference and set a precedent for others to follow. Many more efforts were made by Pakistani directors to garner the same reaction from the Pakistani audience but the response remained lukewarm; we appreciated the efforts but most of the movies lacked a little something, perhaps a magic of sort. If Khuda Kay Liye has to its credit the revival of our cinema, then suffice it to say that ‘Manto,’ has redefined cinema and set a new benchmark of what to expect from it. The movie is a perfect package with layers upon seamless yet frayed (in the artistic sense, of course) layers of visual feast for art lovers. In the movie, Sarmad Khoosat, the actor and director extraordinaire, who portrays the role of the legendary and prolific author Saadat Hassan Munto, wears white shalwar kurta and is clean shaven below a set of thick-rimmed glasses, props and traits which contribute to making him appear handsome and dispel any past character associations we may have with him. He’s suave and direct, and he builds his performance around a core of raw honesty; we spend the movie scrutinizing him, trying to figure out what is haunting him. The brilliant idea of story within a story satirizes the views of audience; not only in the outer story but in the real world as well. A realist approach by Sarmad keeps the characters and situations the primary focus. This film is also concerned with creating moods and emotional impressions while depicting a real, tragic story. It conveys a type of reality important to its creator. The film does not simplify or glamorize the characters or events and also stays true with the culture of this region. Non-mainstream use of techniques and non-standard structure of movie may require a concerted effort on the part of a conventional viewer to understand, which only adds more to its appeal and charisma. Sarmad employed each actor’s signature strengths to their assigned roles which led to brilliant performances. Performances by Sania Saeed, Saba Qamar, Nadia Afghan, Hina Khawaja Bayat, Faisal Qureishi, Mahira Khan and many others will leave you mesmerised and spellbound. 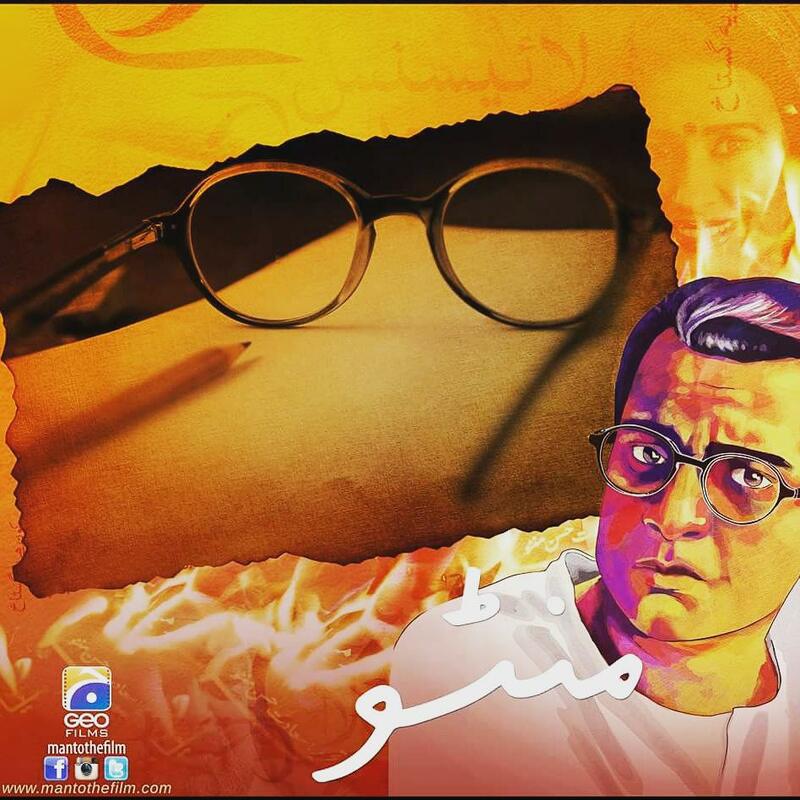 The portrayals of Manto’s various afsaanas as well as his own lide will resonate with the viewers who will not only understand the layers of this movie but love them as well. It’s the kind of film you will personally react to and you will feel compelled to analyze it or look up someone else’s analysis right after watching it. The film winds up showing us more than what we came for: the chance to see Manto in his last years plunging deep into the heart of darkness. It will blow you away. Dialogues, humour, cinematography, montages, delivery, editing, sound design, acting and music of the movie are brilliant. An unusual substantial content of the film executed perfectly in script and direction. This film can do much more than providing simple entertainment. The movie will stir a passion and a debate within you and lead you to question your own self as well as your society – which is exactly what Manto did to his readers and this is what truly marks the movie as a success. It will also lead you to start believing that one should never settle for less. There’s no such thing as a perfect movie, but there ever so rarely comes one which you wouldn’t want to be any different. Such is the beauty of Manto.